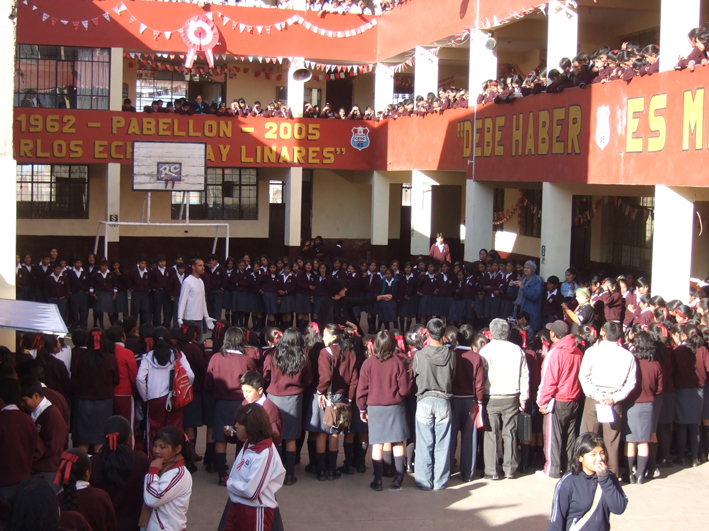 Well this month we have been involved in a mission with our church to Puno – just across the boarder in Peru from the 13th to 18th. There was a mixed team of Bolivians and Brazilians – 19 in total. 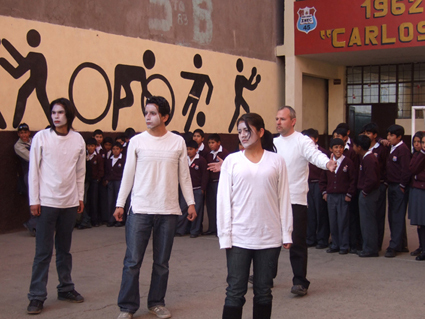 We went to stay with a Peruvian church who wanted us to help with a week long evangelism mission doing street drama and mime. We arrived after a long 20 hour journey and were placed with a family from the church. They made us feel so welcome and were really interested in our families and life back in UK. We had daily meetings with the team and practiced the dramas. It was great to be part of a team who worked so co-operatively together and got involved 100%. We were responsible for putting together the program for each presentation. Each day we had been invited to give 3 presentations in different locations in the town, colleges, plaza (town squares) and in university departments. 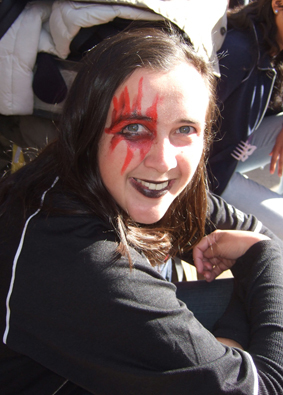 Ruth – who usually only gets to play the “goodies” in dramas was cast as a demon and shocked everyone with a dramatic transformation into a “Goth”. There was a mixture of comedy and powerful dramas set to music. Each time a large crowd would gather and stay to listen to the message / testimonies. On the last night we were overwhelmed by the response of the crowd who had been invited to come to the church and find out more about being a Christian. The families showed us around and the lady who invited Ruth to her house dressed her up in the traditional Ayamara layered skirt and bowler hat. 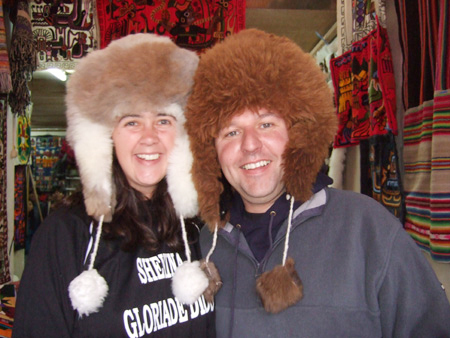 We had a wonderful time in Puno… even though it was freezing cold at night and we could only take cold showers at 6.30 in the morning!!! So cold you could actually see your own breath in the bathroom… Brrrr. A captive audience of about 800! Hey you guys!!! 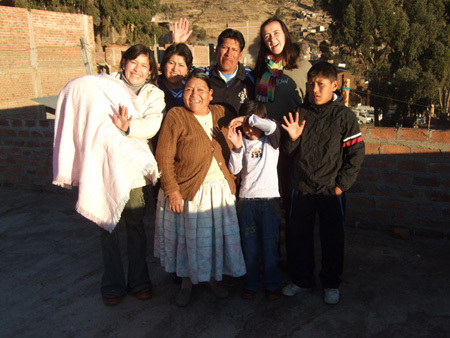 its awesome to hear the lates in Bolivia! You are such an inspiration and we love your Dramas! Ruth…you Goth??! ha ha, Dean we always knew that you were an angel! Love you guys, praying for you always! I have just a bit of your Newsletter and its good to see what great work you are both doing and seem to be enjoying it at the same time – I am sure your Dad Ernesto is proud of you – if he has seen the website! Keep the good work up and Happy New Year and stay safe.